The deeper worry is that tech is out of step with the national and global mood, and failed to recognize the social and economic anxieties roiling the nation — many of them hastened by the products the industry devises. Indeed, the sentiment among the handful of people I spoke with this week, all in sci-tech communications and consulting, is that the Silicon Valley elite will be further incentivized to fund science and technology — that this election could, in fact, drive more people toward lofty goals. Frustrated by policies out of their control, more people will turn to science to fuel the progress they want to see in the world. More disconnected optimism? Only time will tell. But the walls of the bubble could get thicker as companies try to stay off the radar and do their own thing. Part of the calculation that the election could drive further privatization of science comes from the concern among many that the Trump administration will cut federal funding of science. 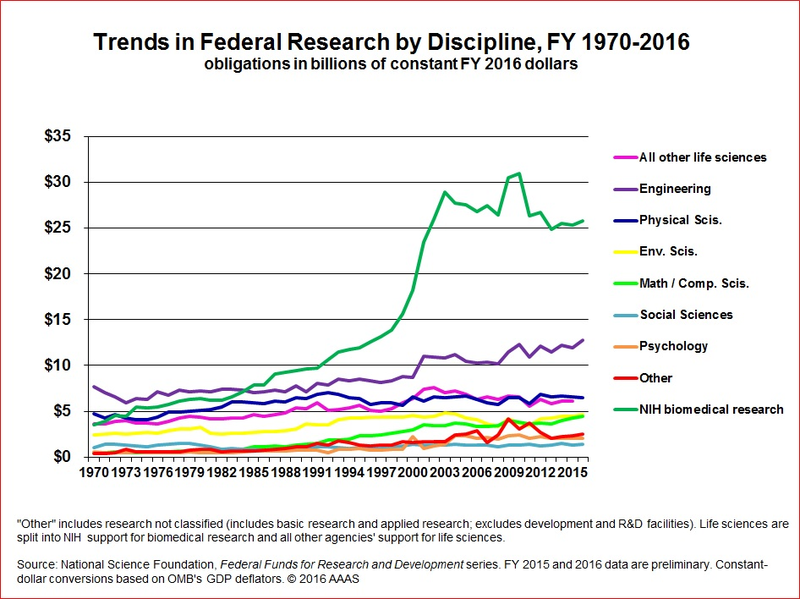 Most academic researchers rely on federal funding, through agencies such as the National Institutes of Health (NIH) and the National Science Foundation. Given that Trump has stated many times a desire to cut federal spending, along with the historic trend that science often stays flat or gets cut as “discretionary” funding, we are likely to see cuts in science funding. However, as Sarah Kaplan points out in the Washington Post, historically overall science funding has been higher under Republican administrations than Democratic ones. In response to such concerns, the American Association for the Advancement of Science is offering a webinar next week with a post-election analysis of R&D funding. Among the panelists will be former House Science and Technology Committee Chairman Bart Gordon. Before the election, we were already seeing the trend of scientists fleeing academia for startups and an increasing number of wealthy business people stepping up to fund large-scale science (e.g. Elon Musk, Mark Zuckerberg, Paul Allen). These trends are likely to continue and hasten. We are also likely to see more sci-tech incubators emerge and grow, such as YCombinator and IndieBio. By some estimates, almost 40% of scientists working in the United States are foreign-born. If immigration laws tighten or there is a perception of the United States as a less-friendly place to foreigners, there would be a big shift in science talent. At the same time, looser regulations on U.S. companies could make it easier to do science business, depending on the sector. The Trump administration’s stance on climate change could mean, for example, that more climate scientists move abroad for funding and research, creating a brain drain in the field. At the same time, U.S. tech companies could be under fewer restrictions when it comes to carbon emissions. 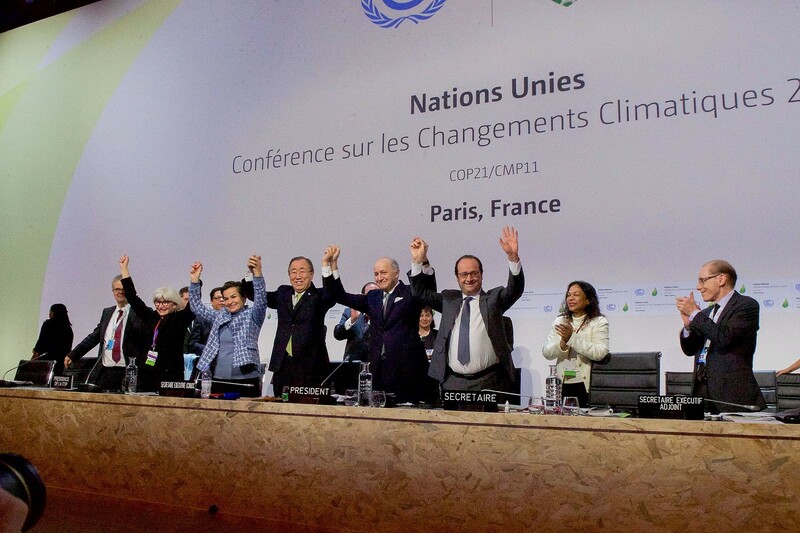 How this will all interplay with international organizations working on climate change, such as the UN Framework Convention on Climate Change (UNFCCC) is unclear; while the Paris agreement is now in place (with 3-years notice needed for withdrawal), there is still a possibility the United States could withdraw from the UNCFCC (which requires only 1-year notice). Such a withdrawal would isolate us from other countries working on the global challenge. 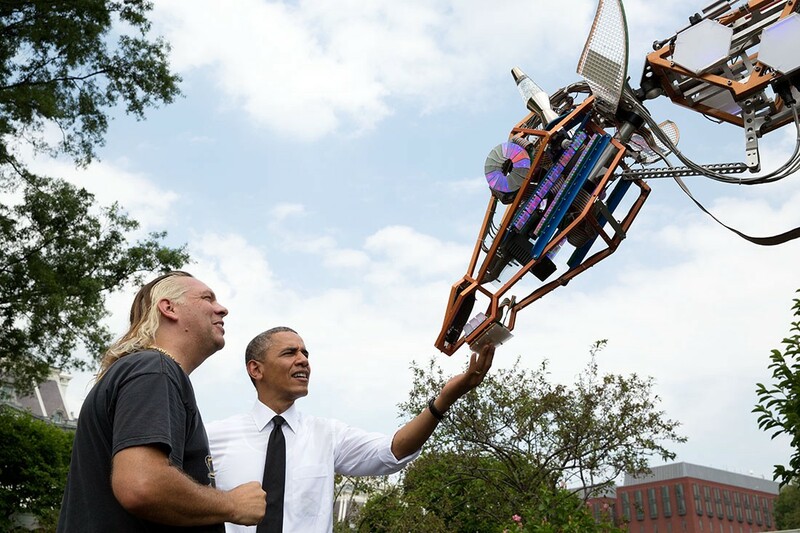 The last several years have seen wave of science support from a highly motivated White House, from the BRAIN Initiative and the Precision Medicine Initiative to the Maker Movement and Grand Challenges for Engineering. If fewer scientists are in the United States to push these agendas forward and less funding is available, we will see greater growth overseas in key areas of research and innovation. Another key issue for startups is policies for work visas and immigration. If faced with tougher regulations for work visas (already a significant challenge in many tech sectors), companies may need to shift their operations abroad in favor of high-skill foreign scientists. We could also see less interest in foreign scientists coming here to collaborate, bringing to mind issues that came up with travel restrictions post-9/11. Under Trump’s plan, individual income tax rates would be cut to 12 percent, 25 percent and 33 percent, while the corporate tax rate would be reduced to 15 percent from 35 percent and the estate tax would be eliminated. Trump would end some tax breaks — including the carried interest provision — and cap deductions, but unless high rates of economic stimulus are assumed, the plan would reduce revenue on a large scale. This change would give VCs, accredited investors, and corporate businesses a large amount of money back. As a peer wrote to me: “Because alpha [active return of investments] is increasingly elusive in financial markets, I have to believe big businesses and endowments will invest more aggressively in acquisitions, angel investments, venture funds, or corporate venture.” This could push science investing more in-house or to sci-tech incubators. In short, the outlook for the moment looks to be: reduced support for academic U.S. science, increased support for private science initiatives, and a whole lot of uncertainty. For those of us in the business of science, we should consider shifting our models toward supporting private efforts over government-funded ones, or moving work overseas to follow the talent. No matter what happens, I believe we will continue to see unbridled enthusiasm for science that will expand human knowledge and bring better solutions to global challenges. What do you think? How do you think this election will affect your business or investments in science and technology? Leave a comment below.